In The 7Cs of Coaching, Bruce Grimley expertly explains Neuro-Linguistic Programming (NLP) to the advanced coach and counsellor by asking a simple question: What is NLP? Inviting us on his personal journey, this book provides the reader with an insight as to how Grimley coaches using his own NLP model as well as exploring the complexity of NLP as a practice and why it tends to polarise opinion in today’s coaching landscape. Grimley insists that if the NLP paradigm is to find credible traction in the modern world, it needs to test its claims in the same way as other academic disciplines; based on his own research, this book does just that. Incorporating contemporary psychological understanding and neuroscientific research throughout, it provides a complete NLP model, outlining specific steps for the reader to follow in order to achieve excellence in coaching. It includes case studies, exercises and reflective questions which will encourage both novice and advanced coaches to explore the benefits of NLP, understanding and taking into account emotions and the unconscious mind in their practice. By analysing the NLP landscape, this book also addresses many issues which are shared by the broader coaching community such as differentiation from counselling, professional status and lack of a reliable empirical evidence base. Ground-breaking and thought-provoking, this book offers a modern examination of NLP. 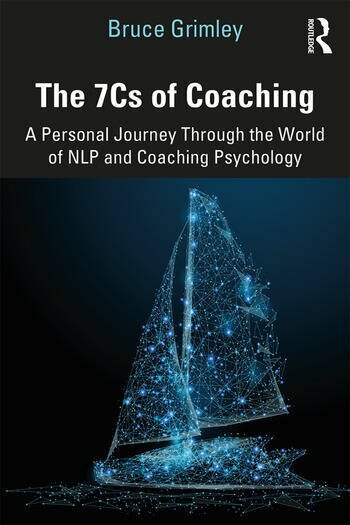 Highlighting why NLP is still useful and popular, and exploring why it fills a gap in the market place for effective coaching, this book will be essential reading for all coaches in practice and training, coach supervisors, and counsellors with an interest in coaching techniques. Dr Bruce Grimley is Managing Director of Achieving Lives Ltd and an Associate Fellow of the British Psychological Society. He is a Master Trainer with both The International Association of NLP Institutes and The International Association of Coaching Institutes. He is a registered psychotherapist and a director of the Neurolinguistic Psychotherapy and Counselling Association.